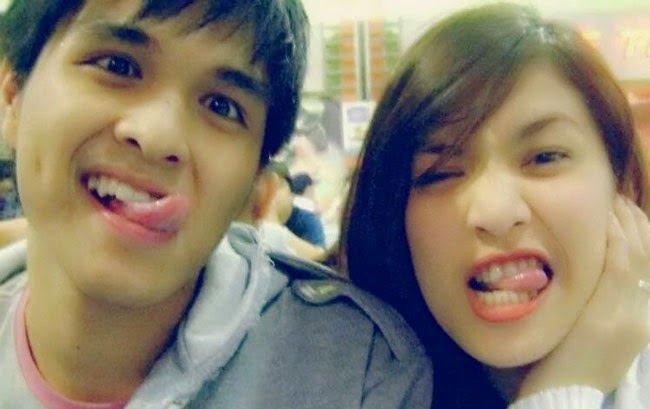 Jamvhille Sebastian, the half of YouTube love team sensation Jamich, continues to fight his Stage IV Lung Cancer and continues to show his positive side together with Michelle Liggayu who only wishes this coming Christmas for his full health recovery. The couple recently posted in their Facebook account a photo of Jam Sebastian and Bro.Bo Sanchez with the caption that Jam already surrenders all to God. Bro Bo Sanchez was shown smiling with Sebastian as he visits the YouTube icon in his room at St Luke’s Medical Center Global City. It was March 2014 when Sebastian and Liggayu publicly revealed Sebastian’s battle against cancer. He shared that the news about his health had slowly sunk in as he was not into alcohol nor smoking. He said that he does not even have any vices which made no sense to him that he now has cancer. In an interview with Startalk, Kapuso’s showbiz news show, Mich shared that she tries to show Jam her strength. The couple are positive and looks forward to getting married and spending life with each other. Many are inspired by their videos and love story. A lot of fans voiced out that Mich was inspiring because she didn’t gave up on their relationship despite Jam’s health situation. Michelle was also the one who had proposed to her boyfriend after a prayer meeting for Jam headed by Bro.Bo Sanchez in PICC. The couple had also made trending news this year after Jam wrote a statement saying he wanted to save money for an iPhone 6. Some fans claimed that they gave up their handsets to help the icon with his hospital fees and voiced out their disappointments. The couple had immediately apologized for the post and explained that they did not force anybody to pay for the hospital expenses.